Choose a flattering fit for an evening event. 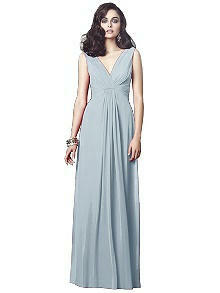 This lux chiffon full-length sleeveless dress hugs curves with a shirred detail skirt front and back. 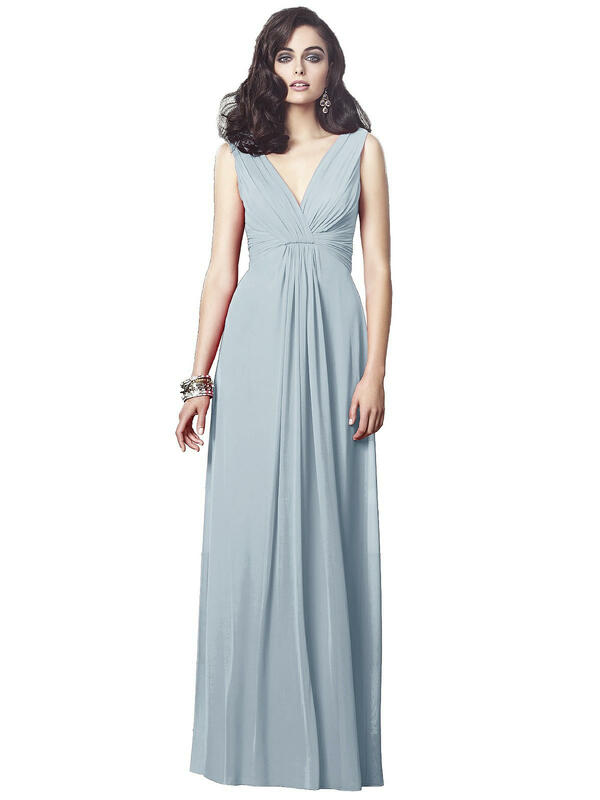 Enjoy a draped V-neck front and an elegant flowing skirt. Fit Tip: The bust measurement takes priority for style 2907. If you are over by an inch or two on the waist and hip it is not a problem. There is plenty of extra room in the skirt to accommodate. If you would like help choosing your size, please contact a Dessy stylist.